DESCRIPTION: With the Twentieth Century just underway, the establishment of the Forest Service has brought change and upheaval to the intermountain West. Cattle barons who once allowed their herds to graze unchecked across the open range are now chafing at the introduction of forest-saving restrictions. With power and fortunes at stake, secret meetings and strategy sessions are the order of the day.Three people in particular are wrestling with the changes in the land. Ellis Burke, a cowboy turned natural resource specialist, is sent to Routt National Forest to oversee these changes. He faces massive resistance from the livestock companies--and a possible threat to his life. Cassie Waddell is the determined daughter of a cattle baron--determined to see her father suffer for what he's done to her family. She enlists former Pinkerton detective Stark Preston to help her wrest the family company from his grasp. 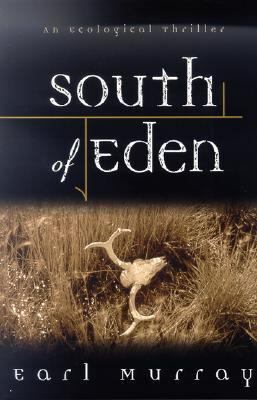 And Preston has his own agenda: he's determined, for reasons that seem a bit too personal, to see Burke fail in his mission to save Colorado's native grasslands.Murray, Earl is the author of 'South of Eden' with ISBN 9780312869236 and ISBN 0312869231.